At the latest FirstNet board meeting, there was no announcement regarding the process for hiring an executive director--the organization's top staff position, which has been filled by TJ Kennedy on an acting basis. Despite the lack of a permanent appointment in this and other key positions, FirstNet has achieved its key milestones for the fiscal year while remaining under budget, according to a financial report. SAN DIEGO—Conspicuously absent from yesterday’s FirstNet board meeting was any announcement regarding progress toward the hiring of an executive director—a staff opening at the top of FirstNet’s organization chart that has not been filled in almost 14 months. FirstNet board members met in closed session to discuss an unspecified personnel matter, but FirstNet Chairwoman Sue Swenson announced during the open meeting that no announcements would be made at the conclusion of the closed session. Later in the day, Swenson declined to comment when asked how many candidates are being considered by the FirstNet board, expressing concern that doing so would lead to speculation that would not be constructive. This week, FirstNet announced that Chief Financial Officer (CFO) Randy Lyon has retired from the federal government. Lyon will be replaced by Kim Farington, who will serve as acting CFO while on detail from the federal Office of Personnel Management (OPM). With Farington’s appointment, FirstNet has four high-level positions being filled by someone serving in an acting role—TJ Kennedy is acting executive director, Jeff Bratcher is acting CTO and Jason Karp is acting chief counsel. Swenson said the CFO, CTO and chief counsel positions will not be hired on a permanent basis until a new executive director is selected. After the executive director is hired, that person will get to choose who will fill the other positions in the long term, she said. 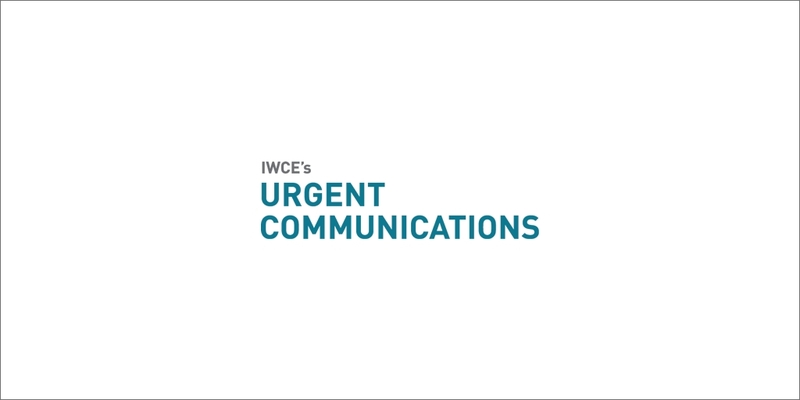 “I think the executive director has to make those decisions for the team,” Swenson said during an interview with IWCE’s Urgent Communications. “I don’t think it’s appropriate for us to push that until such time. In April 2014, Bill D’Agostino resigned as FirstNet general manager after less than a year on the job. Since then, Kennedy has filled the top staff role, which was renamed as “executive director” last year. For some organizations, having so many key positions filled by personnel serving with an “acting” moniker in their job title might undermine overall execution. But FirstNet is on pace to complete its key tangible goals—notably, issue a draft request for proposal (RFP) this spring, complete the first round of consultations with all 56 states and territories by September, and issue a final RFP by the end of the year—while remaining under budget for the current fiscal year, according to a board-meeting presentation. Swenson said she is not surprised by the performance of the FirstNet staff, “because these are talented people, because the people are here for the mission, and they’re completely dedicated. They’re not here for the title. They’re here because they believe in this mission, and they know that whatever is meant to be will be and that they’re going to be here.